The South Centre together with the Intellectual Property Directorate of the Supreme Court of Justice of Paraguay will organize a Workshop for Judges on flexibilities of the TRIPS Agreement in relation to Enforcement. 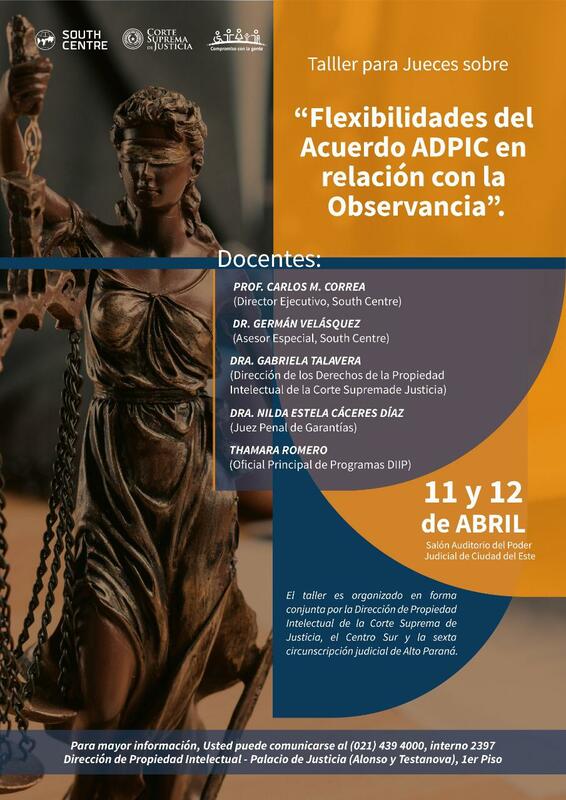 The activity will be held in the Auditorium Hall of the Judiciary, Supreme Court of Justice, Ciudad del Este on April 11 and 12, 2019. The objective of the workshop is to improve the skills of the judges participating in the topic of enforcement of intellectual property and the use of of the flexibilities provided for in the Agreement on Trade-Related Aspects of Intellectual Property Rights (TRIPS Agreement) of the World Trade Organization (WTO). 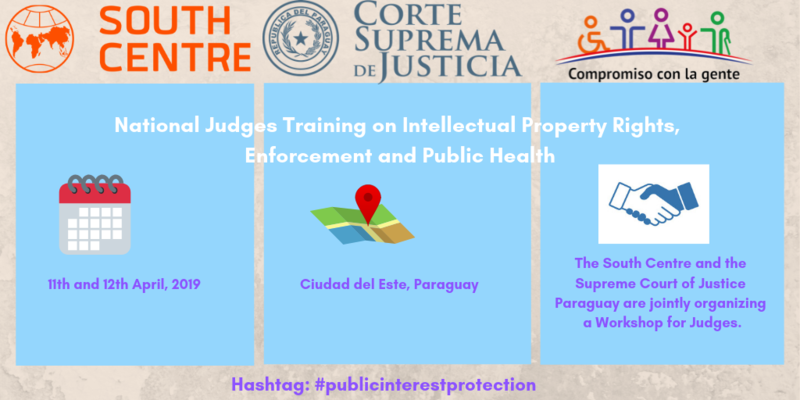 The judges will have the opportunity to discuss the interpretation and application of the TRIPS Agreement in their national legislation, taking into account especially the health and industrial development needs of Paraguay.